Misogynist is someone who downcast women. They hate women and yet pretend to love them. They are good at starting a relationship. They present themselves as lovers of women but deep down their hearts, they so don’t like women. Funny enough, they are everywhere. They could be your next door neighbor who smiles at you and say hello with a smile. He could be the guy who helped you pick up your things in the hallway yesterday. This is an unconscious behavioral defect caused by past trauma involving a female especially the one they trusted and love. Sometimes, abuse from any female figure early in life could trigger this emotional behavior. Apparently, most misogynists do not know they downcast or dislike women. Misogyny is not noticeable at the early stage. As one matures, more abusive experience and neglect triggers this behavior. This will continue to grow if not treated thereby affecting emotions and decision making. At full maturity, this is when the misogyny is fully grown when it can no longer be controlled. Even at full maturity, the misogyny is good at hiding this behavior. It is not easily picked by women around him. He will so hide it from the public that you will not believe he could hit a fly until it has gone out of control. Misogynist is good at making promises to women. If you notice that your partner keeps making promises and gives excuses for failing to keep to them could be a sign he is a misogynist especially if he is not like that with men. If you notice your spouse is always late for appointments with women and the other way round for men is an indication he might be a misogynist. When you observe he is controlling and self-centered when it comes to women. If you partner is controlling, he doesn’t listens to you and whatever he says is final is a good indicator. 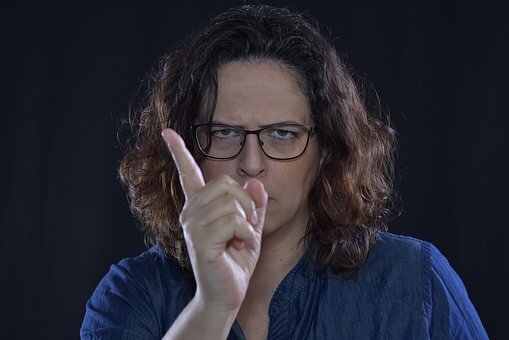 In relationships, when your spouse sees nothing wrong in what a man does and criticizes or disapprove whatever a woman does is a major sign of a misogynist. Like a lion, he lurks. Like the lion, he chooses his prey carefully. This is not easily detected because he is fun to be with until he is ready to strike when the ladies defenses are completely down. Misogynist derives fun bulling women. They make women feel dejected and unwanted. They make undeserved jokes about women. Some go to the extent of embarrassing women including their partners in public. They don’t appreciate anything a woman does. They cannot remain faithful to their partner. They feel they don’t hold their partner anything. Truth is always far from them. Their ultimate goal is to always beat a woman. If they are given a task in office that involves a woman, they always want to be the best. If they head a team and a woman head another, they will do everything in their power to make sure their team come top in performance. They often want to outrun a woman. Misogynist behave to opposite a woman wants him to behave. If their spouse wants them to behave calm that is when they want to be noisy. They feel their spouse want to control them and they end up behaving the opposite or doing the opposite of what they are advised. Misogynists are not committed to their relationship. They put little or no effort in achieving a healthy relationship. They could head to a friend’s place from work and spend the whole weekend with their friend. The feeling of their partner is not their concern. Most misogynists don’t possess all of the above listed. This makes it a little bit difficult to spot. But with some amount of effort, you will easily spot one. There is every tendency that a misogynist will keep hating women because they feel good doing so in their subconscious. If you noticed someone with any of the above listed, they should get help as soon as possible.